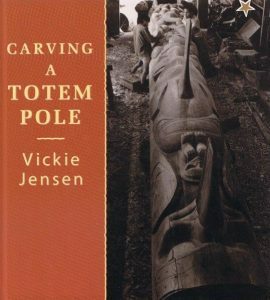 Synopsis: Long before their history was written, the Nisga’a and other people of North America used totem poles to teach about the past. It was important for children to learn their cultural history, all the way back to mythical times. Vickie Jensen takes us behind the scenes into the carving shed as she describes the various steps that go into carving and raising a totem pole.